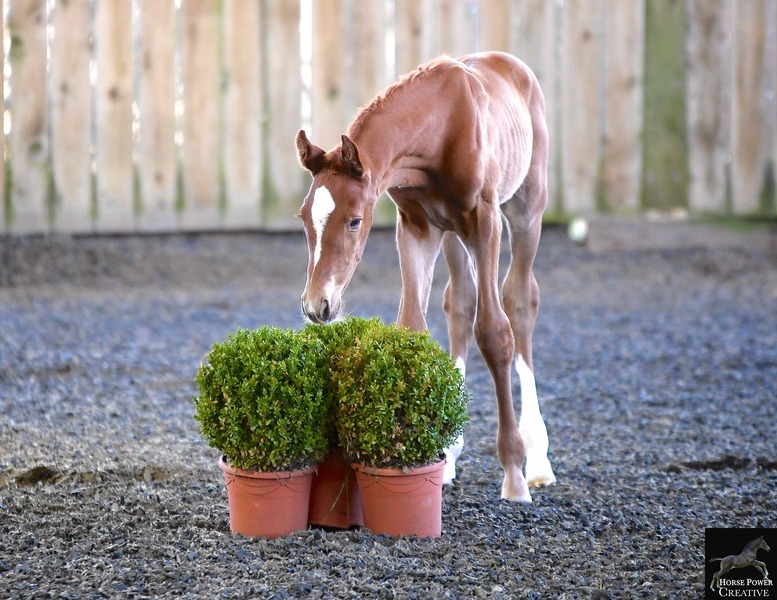 The British Breeding Futurity Young Horse Evaluations are run by the company British Breeding with the generous support of Baileys Horse Feeds and the British Horse Foundation. Whether you have been a participant before, or this is the first year that you are thinking of participating, thank you for your interest in the Futurity and welcome to the fastest growing young horse evaluation programme in the UK! 1. The Futurity is an evaluation, rather than a sport horse show class. At a show your horse will be ranked in order of preference by a judge or judges. At an evaluation your horse will be marked using a set of criteria appropriate for that horse’s age and intended discipline. At an evaluation your horse is considered for longer than at a show (you will see how in the other Factsheets) and the feedback you receive will be more thorough. Because this is an evaluation for performance potential, horses should not be in “show” condition, as this may mean that they are carrying too much weight, especially for their age. Horses carrying excess weight cannot move as well as horses with the correct condition score and can also have related problems in later life. Please make sure your horse is the appropriate weight when you present it for evaluation or this may well have an impact on its score both from the vet and from the evaluators. 2. The Futurity is principally run to identify talented young sport horses and ponies, for collecting data on British breeding so that British breeders can make use of that information for future breeding decisions and for providing feedback to participants on the suitability of the horse they have bred for its intended discipline and the market for which it has been bred. This is important to remember because not every horse will be an “elite” horse. The biggest sector of the market is the amateur affiliated sector and this market typically requires horses with slightly different attributes to elite horses. The premium definitions Factsheet 8 sets these out and over time Futurity will expand to better meet the needs of the full spectrum of breeders. 3. Futurity is for ‘amateur’ and ‘professional’ owners/breeders alike. High scores have come in equal measure from established studs and people with a small mare herd, so don’t think that the Futurity isn’t for you because you are a ‘small breeder’. If you have a passion for sport horse or pony breeding, you have critically assessed your mare(s) and have picked the very best stallion to complement her attributes and bred your young horse with a specific competition purpose in mind – then the Futurity is for you! In the Futurity, horses and ponies from foals to three year olds are evaluated for their performance potential as dressage horses, show jumpers, eventers or endurance horses and ponies by a vet and one or two of a panel of discipline specific experts at a number of regional venues around the country during August. Over 700 horses will be evaluated this year to assess their performance potential as an indicator for the future. performance potential to elite performance delivery. 2. Inform the better breeding of British bred sport horses and ponies by offering detailed feedback from a vet and evaluators. 3. Provide accurate pedigree and results information for breeders to use, regarding successful bloodline combinations for sport, which will be available at all times through the fully searchable Futurity results database. The Futurity’s adoption of linear scoring from 2015 provides more detailed and objective information for all participants. 4. Enable breeders to use the Futurity scores as an established marketing tool for their young sport horses (McGrath 2011 concluded that “a high premium does appear to increase the monetary value of a horse”). An increasing number of young sport horses are advertised for sale as having a “BEF Premium” and this has given confidence to potential buyers in their purchase selection process. Whilst of course there are too many environmental factors in the equation for the Futurity to be a guarantee of sale price or of future sport success, the Futurity is the programme which seems to offer the most reliable indicator of potential sport success available at this time. There will be media coverage of each venue, with full reports and photos being circulated to regional, national and discipline -specific media following each regional evaluation and again at the end of the series. 5. Continuously receive feedback from participants as to the workability of the Futurity and improve the scheme so that it continuously becomes a more meaningful, clear, targeted and attainable process for the development of the sport sector of our industry. Please send us your feedback, your views are valuable and Futurity changes year on year to accommodate the feedback we receive and we respond proactively to all information provided. Good luck and we hope you all have a very fruitful Futurity season.